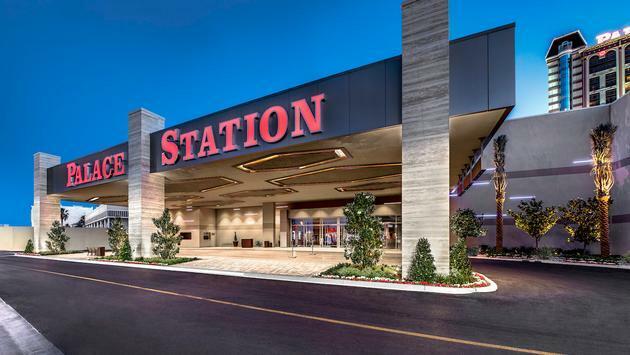 Las Vegas’ historic Palace Station, which dates back to 1976, has just debuted a $192 million modernization. The property, part of Station Casinos’ family of 20 offerings, is located just off the Las Vegas strip. The sweeping renovation effort took two years to complete and included overhauling the entire casino floor as well as guest rooms and suites. A new resort-style pool area was also added to the property, as well as a luxury, nine-screen movieplex. A handful of new restaurants were also brought online as part of the effort, including the Boathouse Asian Eatery, and bBd’s (Beers Burgers Desserts). An existing Feast Buffet was reconceptualized. The property’s 21-story hotel tower features 575 newly renovated hotel guest rooms and suites influenced by a modern style and showcasing a color palette infused with natural earth tones. Amenities within each guest room range from 55-inch flat screen televisions, to headboards with reading lights, and bathrooms with quartz countertops and walk-in stone showers. Upper-level suites feature a spacious living area and boutique style bedrooms decorated with natural dark wood furnishings with marble and brass accents. The new resort-style pool meanwhile, includes a raised bar, dining area, event lawn, private cabanas, and daybeds. 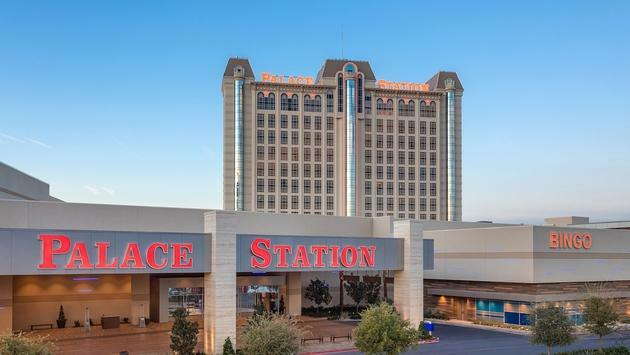 In addition to the three new restaurant offerings, Palace Station is home to an 18-seat Oyster Bar, Little Tony’s created by 12-time World Pizza Champion Tony Gemignani, and Station Casinos’ signature steakhouse concept, the Charcoal Room . Two additional dining concepts are expected to join the Las Vegas property including Mumfresh Asian Eats , a casual, quick-serve, teppanyaki-inspired menu including banh mi sandwiches, noodle soups and boba teas from the creators of Boathouse Asian Eatery; and San Diego-based taco company, ¡SALUD! Tacos . Both are set to open in late 2018. As part of the casino renovations a new bingo room, and a new sports bar were added, and the existing poker room was upgraded. Throughout the casino floor there are also new slot and video poker machines, as well as additional table games. And finally, Regal Entertainment Group will offer a boutique nine-screen luxury movieplex onsite, featuring all-luxury recliner seating and its Cinebarre restaurant concept serving food, beer and wine before and during movies delivered right to your seat. The theater is slated to open in December.